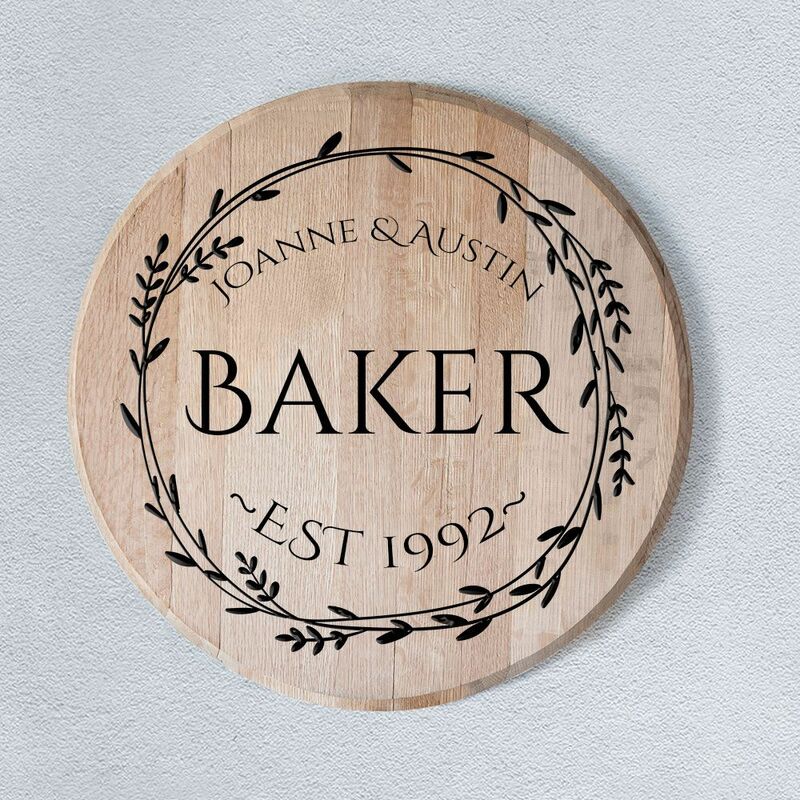 Handcrafted from part of an oak bourbon whisky barrel lid the wedding guest book makes a stunning & unusual centrepiece for your wedding table. The lid has been sympathetically planed & sanded in order to bring out the grain of the wood & then treated with oil which brings out the natural colouring. Perfect for any bourbon loving couple. Engraved in our studio, this stylish bespoke wedding book can feature names, newly married surname and wedding date of your choice making this a truly unique gift. 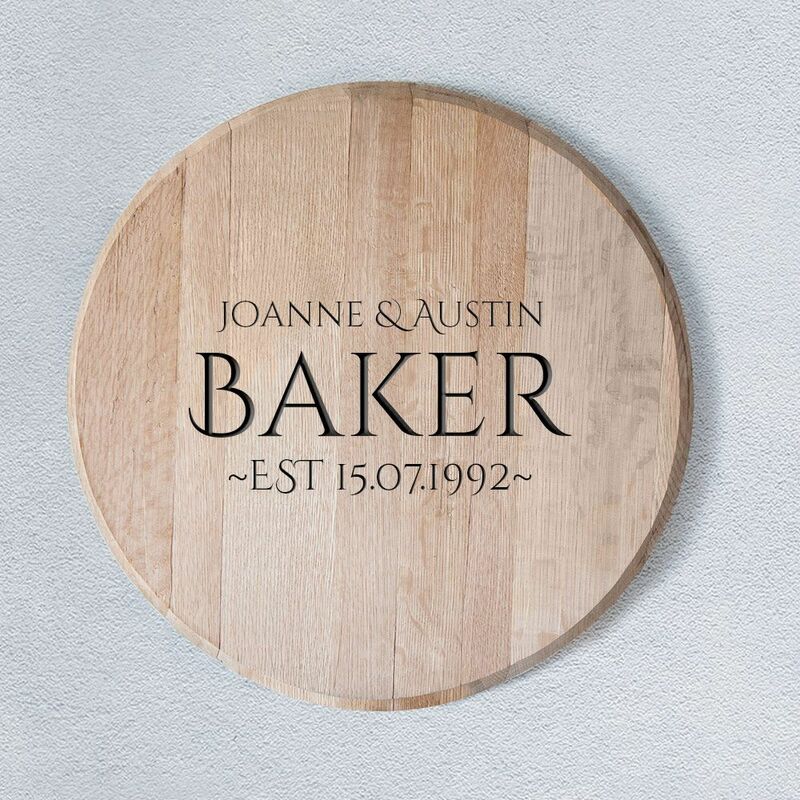 Place the lid on your wedding table and let guest write a special note blessing your special day. Simply add the text you would like into the text boxes on the right hand side and choose the font styles from the drop down options before adding to cart. We will then create the design and email a digital image for your approval. 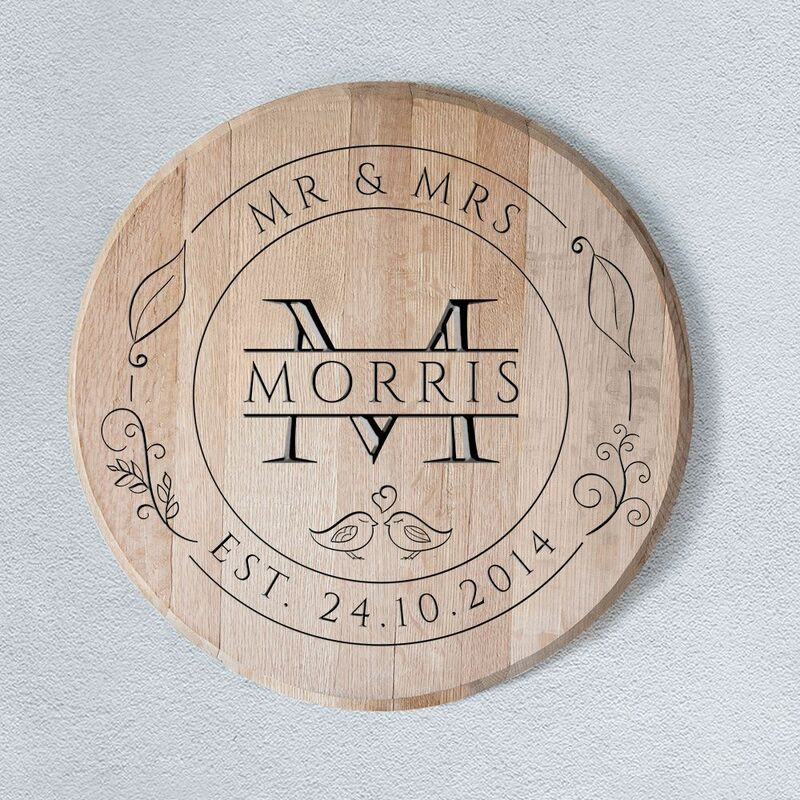 Once approved the item will be engraved and despatched. If you have any other design requirements or fonts then please contact us via email or the online chat and we'll be happy to help. 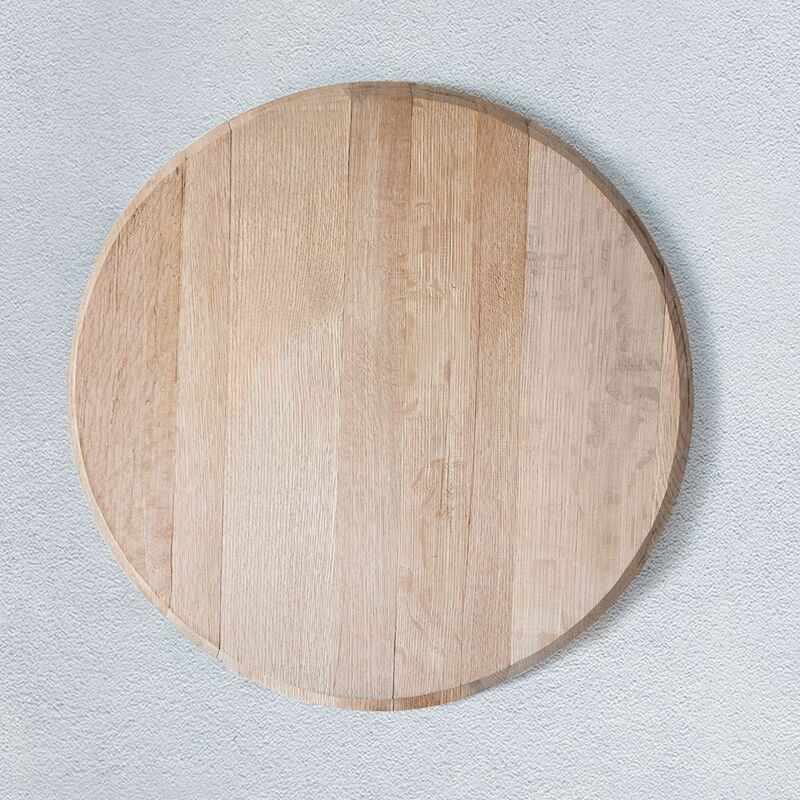 Stunning reclaimed oak bourbon barrel lid with distinct natural grain - no two pieces are ever the same. Personalised for any occasion, Weddings, Anniversary's, Births etc. Each barrel lid is specially chosen from reclaimed used oak bourbon casks these could have been from such renowned brewers such as Jack Daniels, Jim Beam, Four Roses & more. Charring is present on one side of the lid (inside). Charring the inside of the casks is legal a requirement for bourbon. Each lid has is own individual markings.